This cemetery started as a “for profit” cemetery in the 1930s. 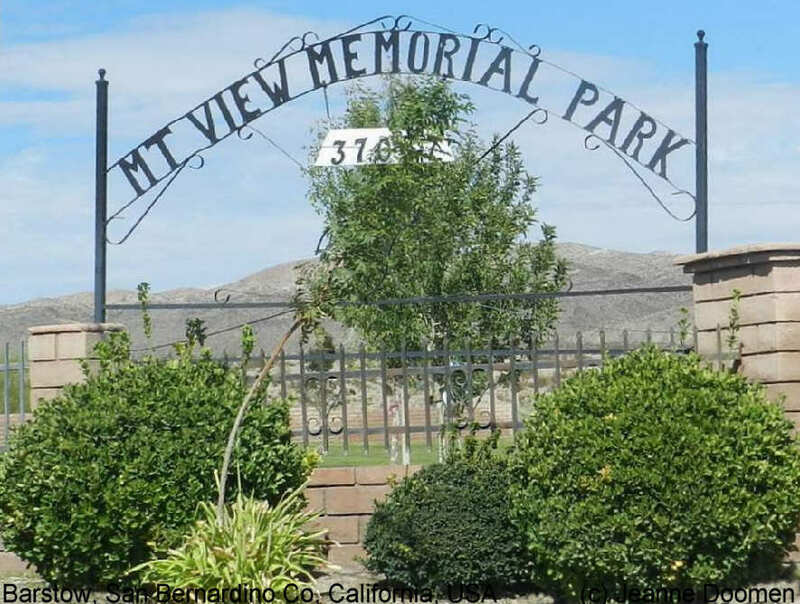 In the mid-1930s all of the interments from the Barstow cemetery were moved to Mountain View’s Block #1. Also, during this period, a cemetery manager had all of the grave markers, headstones, wrought iron fences, etc hauled away. As a consequence there are many unmarked graves in Block #1. In the 1960s San Bernardino County took over operation of the cemetery and continues to operate it today. It is in very good repair and still accepting burials. There are approximately 8,900 interments in this cemetery.